April 14th, 1611...the word "telescope"
Who pays for archaeological excavations? Digital Library for Physics and Astronomy--"ads"
Do you believe that dinosaurs became extinct swiftly or slowly? Well, the question is kind of ambiguous and hinges on definition...what is meant by "swift" and "slow". Popular belief supports some cataclysmic event...object hitting the Earth. Sure, the initial explosion would eliminate many dinosaurs but not all over the Earth. The resulting fires, particulates, and reduced exposure to the sun would play a significant part. Food chains would be disrupted. Labored breathing for the big ones, warmth may have been scarce. I suppose the answer is both. "New Blow Against Dinosaur-killing Asteroid Theory, Geologists Find"
The enduringly popular theory that the Chicxulub crater holds the clue to the demise of the dinosaurs, along with some 65 percent of all species 65 million years ago, is challenged in a paper to be published in the Journal of the Geological Society on April 27, 2009. The crater, discovered in 1978 in northern Yucutan and measuring about 180 kilometers (112 miles) in diameter, records a massive extra-terrestrial impact. When spherules from the impact were found just below the Cretaceous-Tertiary (K-T) boundary, it was quickly identified as the "smoking gun" responsible for the mass extinction event that took place 65 million years ago. 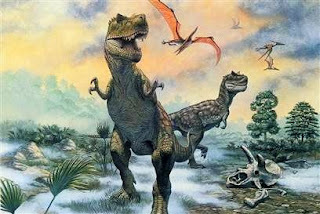 It was this event which saw the demise of dinosaurs, along with countless other plant and animal species. However, a number of scientists have since disagreed with this interpretation. The newest research, led by Gerta Keller of Princeton University in New Jersey, and Thierry Adatte of the University of Lausanne, Switzerland, uses evidence from Mexico to suggest that the Chicxulub impact predates the K-T boundary by as much as 300,000 years. "Keller and colleagues continue to amass detailed stratigraphic information supporting new thinking about the Chicxulub impact, and the mass extinction at the end of the Cretaceous," says H. Richard Lane, program director in the National Science Foundation (NSF)'s Division of Earth Sciences, which funded the research. "The two may not be linked after all." From El Penon and other localities in Mexico, says Keller, "we know that between four and nine meters of sediments were deposited at about two to three centimeters per thousand years after the impact. The mass extinction level can be seen in the sediments above this interval." Advocates of the Chicxulub impact theory suggest that the impact crater and the mass extinction event only appear far apart in the sedimentary record because of earthquake or tsunami disturbance that resulted from the impact of the asteroid. "The problem with the tsunami interpretation," says Keller, "is that this sandstone complex was not deposited over hours or days by a tsunami. Deposition occurred over a very long time period." The study found that the sediments separating the two events were characteristic of normal sedimentation, with burrows formed by creatures colonizing the ocean floor, erosion and transportation of sediments, and no evidence of structural disturbance. The scientists also found evidence that the Chicxulub impact didn't have the dramatic impact on species diversity that has been suggested. At one site at El Penon, the researchers found 52 species present in sediments below the impact spherule layer, and counted all 52 still present in layers above the spherules. "We found that not a single species went extinct as a result of the Chicxulub impact," says Keller. This conclusion should not come as too great a surprise, she says. None of the other great mass extinctions are associated with an impact, and no other large craters are known to have caused a significant extinction event. Keller suggests that the massive volcanic eruptions at the Deccan Traps in India may be responsible for the extinction, releasing huge amounts of dust and gases that could have blocked out sunlight and brought about a significant greenhouse effect. "Food science can be yummy"
"It's like being a choreographer. You have to have a certain amount of technique before you can create a dance." -- Ted Russin. A low-slung, '50s-era office complex in the middle of a commercial park in San Diego doesn't look much like a hotbed of progressive cuisine. But here in Food Lab 1 at a company called CP Kelco, food scientist Ted Russin is doing his part to spark the imaginations of chefs. Russin started working at CP Kelco in early 2006. 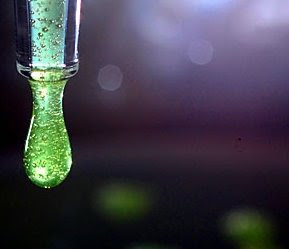 The company makes hydrocolloids such as pectin, carrageenan, gellan gum, cellulose gum and xanthan gum--substances that can thicken liquids or turn them into gels. They hold a special interest fo chefs looking to present familiar flavors in new forms and are the crux of cutting-edge cooking. These items are staples in many high-end chefs' repertoires, whether they want to tie foie gras into knots or make smoother, silkier sauces. But encapsulating liquid in a gel exterior (like the Ferran Adria olives at the Bazaar in Beverly Hills) or making sure the gellan coating for one's fish has a desirable texture requires understanding some of the science behind these ingredients. "It's like being a choreographer," says Russin, who has studied ballet. "You have to have a certain amount of technique before you can create a dance." Russin, 34, wears a white lab coat; two Sharpies and a digital timer are tucked in his pocket. He looks boyish and wears glasses, and the crown of his brown hair is styled into a short peak that intimates irreverence (after all, he was a member of a metal band called Shrifft and has on at least one occasion taken his two-wheel-drive Neon off-roading in the desert east of San Diego). He has a bachelor's in philosophy, a cooking certificate (he was briefly chef de partie at a French restaurant in Winnipeg, Canada) and a master's in food science and agricultural chemistry. Chefs such as Thomas Keller and Corey Lee of the French Laundry and Kyle Connaughton, research chef at the Fat Duck, have tapped Russin to help hammer out ideas or perfect methods . Most of CP Kelco's business is with major food manufacturing companies that make sauces by the vat, but Russin says working directly with high-end chefs gives him a chance to bridge the gap between the culinary arts and food science -- "to straddle the divide between these two related yet somewhat distant disciplines and create new food ideas from this collaboration." The '50s and '60s were the golden age of food science, Russin says. "Frozen dinners were a huge leap." Another big innovation in food was laminated packaging, he says. "And Cool Whip is extraordinary," from a food science perspective. Who knows whether chefs deep-frying mayonnaise and making drinks that are simultaneously hot and cold could spur the next transcendent leap? "I'm assuming this is kind of how haute couture works," Russin says. What starts in cutting-edge restaurants may inspire what ends up in the aisles of the supermarket. "I'm somewhere in the middle. It's a very exciting place to be." "When we first started carrying this stuff, everybody thought we were crazy," says Fany Setiyo, a sales representative for Le Sanctuaire, a supplier of ingredients to chefs. Le Sanctuaire (which has a San Francisco showroom and online store) now carries about 30 hydrocolloids from various producers. Russin talks about desserts as "systems" and discusses cooking in terms of heuristic techniques but also has the ability to convey complicated concepts. "Sometimes he'll go off on something, and I'll say, 'Ted, break it down to me in 10 words or less,' and he does," says Adrian Vasquez, pastry chef at Providence. "Ted, in my book, is a genius." Russin formulates salad dressings and comes up with products such as a foam for coffee that can be squirted out of a can and a self-layering dessert for which CP Kelco has submitted a patent application. "What is possible?" he says. "That's where the conversation begins." "Food scientist works alongside chefs to dream up new ideas"
A low-slung, '50s-era office complex in the middle of a commercial park in San Diego doesn't look much like a hotbed of progressive cuisine. But here in Food Lab 1 at a company called CP Kelco, food scientist Ted Russin is doing his part to spark the imaginations of chefs. Russin is holding a blowtorch to a disk of what looks like lemon-yellow Jell-O, except that it's made with gellan gum instead of gelatin. He keeps blasting away at it, in the interest of demonstrating its heat-resistant properties (gellan gum is produced by bacteria discovered on a lily pad in Pennsylvania in the 1970s). "If you've ever blowtorched gelatin, it's a horrible, horrible thing," he says. But the gel in his pan looks generally unfazed; the sugar is starting to caramelize, but the disk is otherwise holding its shape. "It can withstand deep-frying. You can serve warm gelées," he says. Or, as Fat Duck chef Heston Blumenthal uses it, you can make sorbet and ice cream that don't immediately melt when flambéed. That's the magic of hydrocolloids, substances that can thicken liquids or turn them into gels. They hold a special interest for chefs who are looking for ways to present familiar flavors in new forms, the crux of cutting-edge cooking. CP Kelco makes hydrocolloids such as pectin, carrageenan, gellan gum, cellulose gum and xanthan gum. "Our expertise is texture modification, anywhere where you need to control water," Russin says. "There's a lot of water in food, a heck of a lot of water." Familiar pantry items such as starch and gelatin are hydrocolloids, as are agar and pectin. Hydrocolloids are what prevent bottled salad dressings from separating into water and oil. And they're staples in many high-end chefs' repertoires, whether they want to tie foie gras into knots or make smoother, silkier sauces. But encapsulating liquid in a gel exterior or making sure the gellan coating for one's fish has a desirable texture requires understanding some of the science behind these ingredients. "It's like being a choreographer," says Russin, who has studied ballet. "You have to have a certain amount of technique before you can create a dance." Chefs such as Thomas Keller and Corey Lee of the French Laundry and Kyle Connaughton, research chef at the Fat Duck, have tapped Russin to help hammer out ideas, perfect methods or discuss the science of cooking in general. "He has been a great resource for us in understanding these ingredients," says Lee, who has visited the lab in San Diego. "He has worked on several experiments with us so it's not just trial and error. There's an approach to ingredients where we're not just throwing darts here." In Keller's latest book, "Under Pressure: Cooking Sous Vide," gellan gum is an ingredient in a recipe for a mango "yolk," a sphere that has a gel exterior surrounding mango juice. He credits CP Kelco with helping to develop the recipe, which involves dropping spoonfuls of mango juice mixed with gellan gum and sodium hexametaphosphate (used to keep the mixture from setting right away) into a bath of water containing calcium gluconate, which sets the gel. This is the technique behind Ferran Adria's "liquid olives," though he uses different hydrocolloids. Russin, 34, wears a knee-length white lab coat; two Sharpies and a digital timer are tucked into his pocket. He looks boyish and wears glasses, and the crown of his brown hair is styled into a short peak that intimates irreverence (after all, he was a member of a metal band called Shrifft and has on at least one occasion taken his two-wheel-drive Neon off-roading in the desert east of San Diego). He has a bachelor's degree in philosophy, a cooking certificate (he was briefly chef de partie at a French restaurant in Winnipeg), and a master's in food science and agricultural chemistry. He set out to be a philosophy professor and planned to work his way through graduate school by cooking, but says he had an "existential crisis" (he was reading Kierkegaard at the time) when told that academic job prospects were slim. "I spent every day for two months in the career center." Seminal experiments in cake baking for a junior high school science project helped solidify his decision to pursue a career in food science. He started working at CP Kelco in early 2006. That wasn't long after technical support representative Amy Wong received a phone call from sales representative Fany Setiyo of Le Sanctuaire, a supplier of ingredients to chefs. Setiyo was trying to source a certain type of pectin on behalf of chef Ludovic Lefebvre, who was preparing for an appearance on "Iron Chef," and Wong overnighted some samples to New York. Chefs from across the country were calling to ask for samples of the stuff CP Kelco sells to its food-manufacturing clients by the truckload. "We were spending a lot of time fielding calls," Wong says. A partnership was struck between CP Kelco and Le Sanctuaire, now the exclusive distributor of its products to chefs. "When we first started carrying this stuff, everybody thought we were crazy," Setiyo says. "It was risky. What if it doesn't sell?" Le Sanctuaire (which has a San Francisco showroom and online store), now carries about 30 types of hydrocolloids from various producers. "We knew what was going on with chefs was really interesting," says Wong, who along with Russin and Henri Monty, then director of innovations for the Americas, turned into a sort of culinary outreach team. "It's Ted who gives so much of his own time." In the lab, Russin formulates salad dressings and comes up with products such as a foam for coffee that can be squirted out of a can and a self-layering dessert for which CP Kelco has submitted a patent application. He also has helped chefs in their kitchens and delivered lectures to enthusiasts, food professionals and students at the Culinary Institute of America in Hyde Park, N.Y., and at Greystone in Napa, Calif., on topics such as "Hydrocolloids: An Overview and Toolbox" and "Different Kinds of Thick." Russin is writing a chapter for a planned Culinary Institute text, "Introduction to Culinary Arts and Sciences," in which he covers physics and chemistry in the kitchen. And he is contributing to a forthcoming book about the techniques of modern cuisine by Chris Young, former manager of food research at the Fat Duck, and Nathan Myrhvold, former Microsoft chief technology officer. Russin tends to talk about desserts as "systems" and discusses cooking in terms of heuristic techniques but also has the rare ability to convey complicated concepts to laypeople. "Sometimes he'll go off on something, and I'll say, 'Ted, break it down to me in 10 words or less,' and he does," says Adrian Vasquez, pastry chef at Providence in Los Angeles. "Ted in my book is a genius." When Russin stops by El Bizcocho, the restaurant at the Rancho Bernardo Inn in Escondido, he is treated like a minor celebrity. "I couldn't believe it when I found out that these guys were right here in our own backyard," executive chef Judd Canepari says. Russin pulls out his laptop and opens a spreadsheet that shows the iterations of an experiment he'd worked on with chef de cuisine Steven Rojas. "Chefs make fun of me for this and then beg me to send it to them over e-mail," Russin says. Rojas is making a rum-and-coke gel with gellan gum that he carbonates in a CO2 canister. He has been making it with 1% gellan gum. "That's really high. Do you know the brix?" Russin asks, referring to the dissolved solids-to-water ratio. Another of Rojas' desserts comes to the table with a small glass container of watermelon gel. A server picks up the container, shakes it and the gel becomes a liquid, to be poured around compressed frozen watermelon and sorbet. "I am constantly surprised by chefs' creativity," Russin says. "I had [WD-50 chef Wylie Dufresne's] deep-fried hollandaise and before tasting it I thought, 'I don't know why you would do that.' But it was tasty, unctuous, with a nice crust on the outside." A lot of chefs are really having fun with it, he says. It's progress. "What is possible?" Russin says. "That's where the conversation begins." Would the proof of alien contact radically change mainstream religion/theology? The results were surprising. 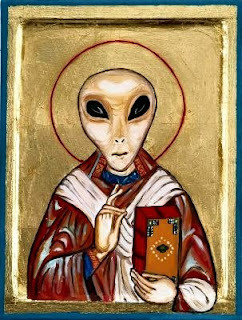 I would have thought that the existence of aliens would disturb the Vatican and shake the fundamentalists. I invite the "five" to explain why they don't believe that a radical change would happen. Argonne Now — Read Argonne's new semi-annual magazine, focused on science features and news stories about Argonne research and other activities. Explorer — A semi-annual magazine, now discontinued, that focused on science features and news stories about Argonne research and other activities. Frontiers — Annual publication of Argonne research highlights with news and feature articles about more than 25 Argonne programs and activities. logos — A quarterly magazine about Argonne research. Each issue contains news and longer feature stories focused on Argonne research and other activities. Eventually the Hubble Space Telescope will be retired and the plan is to use the James Webb Space Telescope. 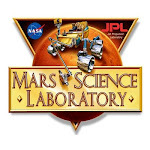 To get people interested in the new telescope, NASA has provided the James Webb Space Telescope game. Check it out. Humm, would the genius or creative person have better opportunities to cultivate same if the environment were more conducive than an environment of few opportunities or suppression? "New Features Found in Einstein's Brain"
When one thinks of Einstein, it is natural to assume that obviously his brain differed from that of the average person. And, ever since Thomas Harvey, a pathologist in Princeton, removed Einstein's brain upon his 1955 death and documented it, scientists have been studying it. Currently, Einstein's brain is in 240 pieces, mounted on slides. However, measurements and photographs were taken of the brain prior to its dis-assembly, and these photos are pored over every few years by those wishing to unravel the secrets of the brain belonging to one of the geniuses of the 20th Century. "One parameter that did not explain Einstein's mental prowess, however, was the size of his brain: At 1230 grams, it fell at the low end of average for modern humans." This meant that it was necessary to study the other intricacies of his brain. If Einstein's overall brain were at the smaller end, perhaps there were other things to find. The 1999 study by a team in Canada found that Einstein's parietal lobes were 15% wider than average. Science Now points out that these lobes are usually connected to spatial and visual cognition, as well as mathematics. A new study has found even more differences in Einstein's brain. Dean Falk works at Florida State University and has studied the photographs of Einstein's brain in detail. In addition to the parietal lobes, Falk claims to have discovered a pattern of ridges and grooves in those wider lobes that is rare. This rare pattern is thought to have contributed to Einstein's visual thinking when it came to physics. "[ I ]n other studies, similar "knobs" have been associated with musical ability. (Einstein had played the violin avidly since childhood.)" The idea is that what made Einstein a genius has more to do with the structure of his brain, than its size. However, it is important to keep in mind that Einstein's brain in its totality can only be studied via photograph and compared to other photographs. And, of course, the brain is a complex and still-mysterious organ. But it may be that we can glean some additional insight from studying the structure of Einstein's brain. And even older than Physics World [previous post] is the first issue of Scientific American. Scientific American is a "monthly magazine interpreting scientific developments to lay readers. It was founded in 1845 as a newspaper describing new inventions. By 1853 its circulation had reached 30,000 and it was reporting on various sciences, such as astronomy and medicine, apart from inventions. In 1921 it became a monthly. From its founding it used woodcut illustrations, and it was one of the first papers to use halftone illustrations. Its articles — solidly based on scholarly research, well written, carefully edited, and accompanied by definitions of scientific terms and by illustrations — have made it the most highly regarded magazine of its genre." Scientific American published every Thursday morning at No. 11 Spruce Street, New York, No. 16 State Street, Boston, and No. 2l Arcade Philadelphia, (The principal office being in New York) by Rufus Porter. 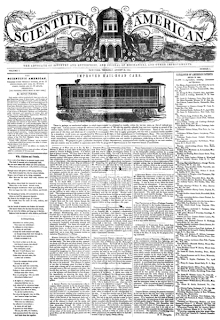 Each number will be furnished with from two to five original Engravings, many of them elegant, and illustrative of New Inventions, Scientific Principles, and Curious Works; and will contain, in high addition to the most interesting news of passing events, general notices of progress of Mechanical and other Scientific Improvements; American and Foreign. Improvements and Inventions; Catalogues of American Patents; Scientific Essays, illustrative of the principles of the sciences of Mechanics, Chemistry, and Architecture: useful information and instruction in various Arts and Trades; Curious Philosophical Experiments; Miscellaneous Intelligence, Music and Poetry. This paper is especially entitled to the patronage of Mechanics and Manufactures, being the only paper in America, devoted to the interest of those classes; but is particularly useful to farmers, as it will not only appraise them of improvements in agriculture implements, But instruct them in various mechanical trades, and guard them against impositions As a family newspaper, it will convey more useful intelligence to children and young people, than five times its cost in school instruction. Another important argument in favor of this paper, is that it will be worth two dollars at the end of the year when the volume is complete, (Old volumes of the New York Mechanic, being now worth double the original cost, in cash.) Terms: The "Scientific American" will be furnished to subscribers at $2.00 per annum, - one dollar in advance, and the balance in six months. Five copies will be sent to one address six months for four dollars in advance. Any person procuring two or more subscribers, will be entitled to a commission of 25 cents each. There is, perhaps no mechanical subject, in which improvement has advanced so rapidly, within the last ten years, as that of railroad passenger cars. Let any person contrast the awkward and uncouth cars of '35 with the superbly splendid long cars now running on several of the eastern roads, and he will find it difficult to convey to a third party, a correct idea of the vast extent of improvement. Some of the most elegant cars of this class, and which are of a capacity to accommodate from sixty to eighty passengers, and run with a steadiness hardly equalled by a steamboat in still water, are manufactured by Davenport & Bridges, at their establishment in Cambridgeport, Mass. The manufacturers have recently introduced a variety of excellent improvements in the construction of trucks, springs, and connections, which are calculated to avoid atmospheric resistance, secure safety and convenience, and contribute ease and comfort to passengers, while flying at the rate of 30 or 40 miles per hour. 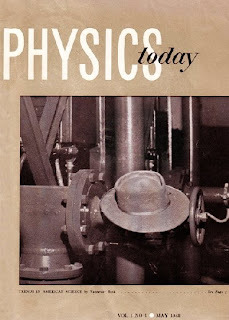 The very first issue of Physics Today [American Institute of Physics] [May 1948] featuring the "pork pie" hat of J. Robert Oppenheimer. "Twinkle, Twinkle, Little Star, Tell Me Are You Very Far?" Famous astronomy anecdote: It's 1923, and astronomer Harlow Shapley, the leading proponent of the theory that the Milky Way is the one and only galaxy, gets a letter from Edwin Hubble. Shapley reads it, turns to a colleague and says, "Here is the letter that has destroyed my universe." Marcia Bartusiak's new book is the backstory of that anecdote. At issue are faint wisps of light known as spiral nebulae. Astronomers first detected them in the 18th century. There were dozens of them -- no, hundreds. Their nature was furiously debated. One camp argued that they were within the Milky Way, solar systems in the making -- clouds of dust and gas with an embryonic star at the center. The other camp argued that they were agglomerations of stars -- "island universes" -- that were outside the Milky Way and were small and faint only because of their immense distance. The debate took a couple of centuries to play out. In the meantime, under scrutiny by ever larger telescopes, the spiral nebulae proliferated. There were thousands, perhaps millions of them. (Billions, it turns out.) For a while the island-universe theory was ascendant. Then contradictory observations pointed to the baby-solar-systems theory. We get all the way to the 1920s with the nebulae still a mystery, and astronomers still trying to figure out the scale of the universe. The story of the spiral nebulae is a familiar one to astronomy buffs, but Bartusiak's intelligent and engaging book may well become the standard popular account. Some of the early chapters could have benefited from a red pencil here and there to excise unneeded verbiage, but that problem fades as the author hits her stride. More problematic is the comprehensiveness of the tale. There are moments when I found myself despairing at the arrival on the scene of yet another astronomer, yet another telescope, yet another set of photographic plates, yet another incremental teasing of the truth from the murky heavens. Bartusiak cannot be accused of leaving anyone important out of her story. Indeed, there are almost as many characters as there are stars in the sky. Some of them, such as Shapley and Hubble, are charismatic and quirky; some never quite seem as interesting as their telescopes. However, there is a fine set piece on Henrietta Leavitt, a Harvard assistant who, laboring in this rigidly patriarchal field, realizes that certain stars serve as standards for measuring cosmic distances (she might have won a Nobel Prize had she lived longer). 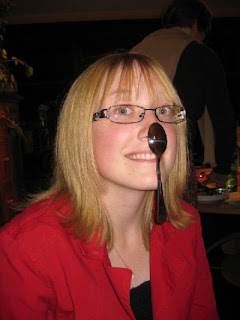 The astronomers practice heroic science. The telescopes get bigger. The mountaintops get higher and colder. The universe becomes clearer: The nebulae are, indeed, island universes -- separate galaxies outside the Milky Way. Shapley's "Big Universe" turns out to be but a meager portion of Hubble's galaxy-strewn cosmos. Bartusiak's book is, ultimately, about how hard science is, how taxing, particularly when you are trying to excavate truth from a grudging universe. The astronomers get it wrong about as often as they get it right. Just when a consensus seems to be forming, it is obliterated by a new observation. There was no single breakthrough, but many of them, as well as many mistakes and misapprehensions. Hubble famously gets the credit for solving the mystery -- a certain kind of variable star he found in the Andromeda nebula revealed that Andromeda is a separate galaxy at great distance -- but his discovery was built on the labor and insights of so many others. Let's throw some love to Vesto Slipher. And Heber Curtis. Oh, and one more thing: Those distant spiral nebulae are racing away from us. Hubble figured that out, too, and with it the most compelling evidence that we live in an expanding universe. Modern astronomy uses magnificent tools to intensify our perception. The universe says, "Look at me." The astronomers oblige, and you know how it turns out: The universe gets much bigger and much more interesting than we ever could have imagined. Question: Was there really a single day when the modern universe was revealed? Marcia Bartusiak: In some ways there was a unique day: January 1, 1925, at the height of the Roaring Twenties. That's the day when astronomer Edwin Hubble finally announced that the Milky Way was not alone but surrounded by sister galaxies just like our own. Eventually, Hubble directed our eyes to hundreds of billions of other galaxies, scattered like separate atoms through an ever-expanding space. It was the astronomical news of the century, if not of all astronomical history. Q: In your book Hubble turns out to be a more complex character than portrayed in most astronomy books. MB: He was an odd bird, but certainly a handsome one. Friends called him an Adonis. I think he resembles the British actor Jeremy Irons. Raised in Missouri, in a solid middle-class household, Hubble somewhere along the line yearned to be singular and distinct. Once he graduated from the University of Chicago, he went to Oxford University as a Rhodes scholar, where he completely reinvented himself; he adopted a British accent that he maintained for the rest of his life, dressed like a dandy, and began to add dubious credentials to his resume, like saying he once practiced law, which he never did. He married into a rich Los Angeles family, and throughout his life seemed intent on erasing his Midwestern roots. His wife never met Hubble’s mother or siblings. Hubble was not chums with his astronomy colleagues but preferred to socialize with the actors and writers in nearby Hollywood. One astronomer called Hubble, often arrogant and standoffish, a "stuffed shirt." Yet, while Hubble fibbed to his friends about his background, he was meticulously careful about his science. In fact, when he obtained the first evidence in early 1924 that the Andromeda nebula was truly a distant galaxy, he held off an official report for almost a year. He first wanted to counter every possible argument against his find. Being caught in a scientific error was Hubble's greatest nightmare. And when he did finally release the data at that astronomy meeting on New Year's Day in 1925, after a lot of arm-twisting from his colleagues, he wasn’t even there. He had someone else relay the findings. Q: The Day We Fond the Universe informs us that there were numerous important figures whose efforts contributed to this monumental discovery-that Hubble didn’t do it alone as the textbooks today seem to imply. MB: Not at all. This is a far richer story--filled with trials and errors, serendipitous breaks, battle of wills, and missed opportunities. Several astronomers could have snatched victory years before Hubble but for various reasons didn't. However, they constructed the firm foundation that allowed Hubble to step in and make his great discoveries, revealing the modern universe as we know it today. 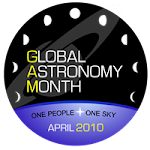 Q: Who are some of those other astronomers? MB: The first was James Keeler, then director of the Lick Observatory on Mount Hamilton in California near San Jose, the first observatory in the world to place a gigantic telescope at high elevation. Its lenses were a yard wide. But Keeler chose to spend his time at a smaller telescope, which every other astronomer on his staff despised. He fixed it up and began to discover that there were tens of thousands of faint, disklike nebulae arrayed over the celestial sky. This was in 1899. At the time most astronomers thought these spiraling clouds were baby solar systems in the making. If he had continued, Keeler had a good chance of revealing they were actually galaxies, other Milky Ways. He had the smarts (he was one of the best astronomers in his day) and he had the equipment. But he died at the age of 42, likely of lung cancer. He was never seen without a cigar in his mouth. 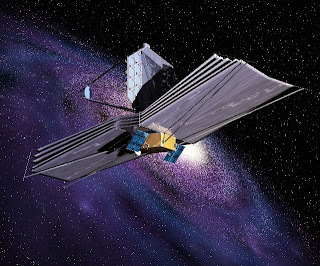 If he had lived, it might have been the "Keeler Space Telescope" now orbiting the Earth. MB: Not right away, oddly enough. Most astronomers at this time were primarily concerned with the Sun and stars. The study of nebulae was not popular. It wasn’t until the 1910s that Heber Curtis, another Lick Observatory astronomer, went back to the same telescope that Keeler used and advanced this work. He found so many new nebulae that he estimated there were at least a million around the sky. Moreover, he began to report that they were indeed distant galaxies. He told one reporter that one he sighted had to be 20 million light-years away, an astounding distance for its time. Q: So why don't we remember Curtis as the discoverer of the modern universe? MB: Because all the evidence Curtis gathered was merely circumstantial. Astronomers were waiting for a "slam dunk." The novae, or sudden flare-ups, that occasionally appeared in these spiraling nebulae suggested they were far-off, since the novae were so faint when compared to the ones that pop off in our own Milky Way. But no one was sure. Some of the novae were so bright, there wasn't any physics to explain the phenomena. This was before astronomers understood that stars could completely explode. Curtis was on the verge of solving the mystery, but he took himself out of the game when he accepted the directorship of an observatory in Pennsylvania, where the nighttime skies were so bad that he could no longer compete. What was needed to resolve the problem was an undeniable distance measurement out to those nebulae. It required a cosmic yardstick, but none was available. And that’s where an interesting woman, Henrietta Leavitt, comes in. Q: The role of women in astronomical history is prominent in your work. What are the parallels between their experiences and those of contemporary female researchers? MB: It was a far different time for women in the sciences at that time. Women astronomers weren't allowed to observe on the major university telescopes. It was considered unseemly to have women and men work together on an isolated mountaintop. At Harvard, for example, women were mainly relegated to being what were called "computers"-staying in offices, scanning photographic plates and recording each star's position, luminosity, and spectrum. Yet it was immensely valuable work. In the course of it, Henrietta Leavitt astutely discovered the celestial Rosetta Stone that later allowed Hubble to make his great discoveries. In 1912 she found a unique pattern to the blinking of variable stars called Cepheids. These are stars that repeatedly brighten and dim over a matter of days, weeks, or months. She revealed that the brighter Cepheids had the slower periods; the dimmer ones were faster. That meant you could follow the Cepheid's change from afar, determine its period, which would let you know how bright the star is and hence how far away it was. Harlow Shapley, a young up-and-comer at the new Mount Wilson Observatory in southern California, was the first to take advantage of this wonderful new yardstick, discovering that the Milky Way was far larger than anyone had ever suspected. Ten times larger. It was now 1918, and Shapley could have continued outward, determining the distances to those mysterious spiral nebulae and beaten Hubble to the brass ring--but he didn’t. MB: Because Shapley was mulishly wedded to his own vision of the universe. To him, the Milky Way was so big that its borders defined the very boundaries of the universe. The spiral nebulae were mere appendages. He saw no reason to study them. He regretted that blunder for the rest of his life. Hubble had by then arrived at Mount Wilson, and at first stood in Shapley's shadow. Shapley was the golden boy of astronomy for his remake of the Milky Way. The two astronomers never got along, throughout their professional careers. Shapley, also from Missouri, retained his brassy and chummy country ways. Hubble's affectation for wearing jodhpurs, leather puttees, and a beret while observing or going around and saying "Bah Jove" was simply too much for Shapley to bear. To Hubble's relief, Shapley soon left Mount Wilson to become director of the Harvard College Observatory, which allowed Hubble to focus on the spiral nebulae and make his great discovery. Q: How did Hubble go on to see the universe expanding? MB: Well, that's where the standard textbooks don't get the story quite right. There was another astronomer, by the name of Vesto Slipher, who actually found the first glimmer of evidence that the spiral nebulae were fleeing outward. He did this from the Lowell Observatory in Arizona. By 1917 Slipher was sure they were distant galaxies and even reported they might be "scattering" in some way. By 1925 he pegged the velocities of more than forty galaxies, a momentous accomplishment because the galaxies are so faint. It sometimes took weeks at the telescope for Slipher to clinch just one velocity. In 1929 Hubble took on a partner, Milton Humason, to see if the galaxies were moving outward in a specific way. Hubble pegged the galaxies’ distances, while Humason measured their velocities. Putting this information together, Hubble did find a trend: the velocity of the galaxies steadily increased as he probed deeper and deeper into space. At double the distance, a galaxy's speed doubled as well. But when Hubble first published this rule, he solely used Slipher's data already on hand. Yet he made no mention whatsoever of Slipher in the paper--no citation, no acknowledgment, a serious breach of scientific protocol. Slipher deserves half the credit but is now largely forgotten by the public. Moreover, Hubble had no idea at this stage that his newfound rule meant the universe was expanding. That understanding didn't arrive until 1930, when astronomers finally became acquainted with the work of the Belgian Georges Lemaître, both a theorist and Jesuit priest. Working out a cosmological model based on Einstein’s general theory of relativity, Lemaître predicted that space-time was moving outward, with the galaxies going along for the ride. He did this in 1927, two years before Hubble even published his rule. But Lemaître's model went unnoticed for a couple years, because it was published in an obscure Belgian journal. But today this story is now vastly simplified: everyone says Hubble went to the great 100-inch telescope on Mount Wilson and, voilá, discovered the expanding universe. It’s an ironic twist, because Hubble was never a champion of a universe ballooning outward. "It is difficult to believe that the [galaxy] velocities are real," he told a reporter. Up until he died in 1953, he always referred to the galaxy speeds as “apparent velocities,” to protect his legacy just in case a new law of physics sneaked in and changed the explanation. Hubble coveted an unblemished record: the perfect wife, the perfect scientific findings, the perfect friends, the perfect life. Q: You write about these astronomical discoveries in light of the cultural and geopolitical context of the early 20th century. What were the connections? MB: It was a unique moment, a fantastic era when technology was rapidly on the rise. Astronomy blossomed within this atmosphere. Cameras became standard equipment on telescopes, capturing pictures of stars and nebulae never before seen. And spectroscopes allowed astronomers to discern the very chemistry of the heavens. More important, prominent industrialists, enriched by the bounty of the Gilded Age, provided the money that allowed American astronomers to construct the large telescopes so crucial to solving the mystery of the spiral nebulae. In this venture, American astronomers were also aided by a more somber event. European astronomers were diverted by World War I and its resulting turmoil. This allowed American astronomers to freely push forward on the most outstanding question of the day. 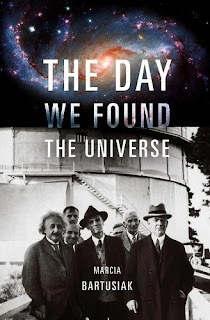 Figuring out the universe’s true nature became an American obsession, its participants drawn from the Lick, Mount Wilson, and Lowell observatories newly built in the U.S. West. The world’s older observatories didn't have a chance at all, because the Americans had the most advanced telescopes perched on high-elevation sites, a combination that was essential to cracking the mystery. 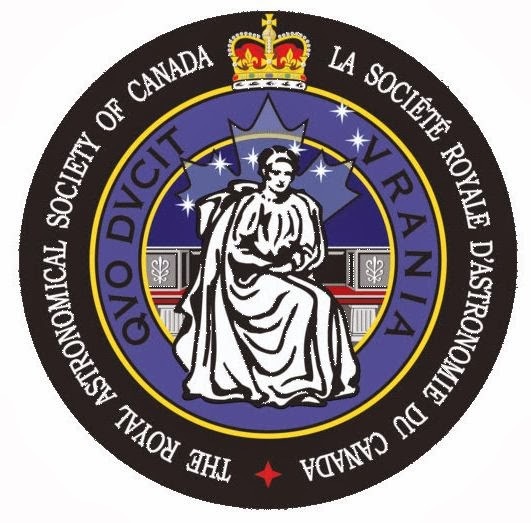 Do you find interest and value in science history? Well, I guess this was a stupid poll. And another book on Einstein by author Walter Isaacson who also wrote biographies on Benjamin Franklin and Henry Kissinger. "The Scale of Einstein, From Faith to Formulas"
The story of Albert Einstein's life calls for a protean biographer, not to mention a fearless one. Conveying the magnitude of Einstein’s scientific achievements is tough enough, but that’s just the start. His geopolitics, faith, cultural impact, philosophy of science, amorous affairs, powers of abstraction and superstar reputation are all part of this subject. So are the two world wars through which Einstein lived and the internecine physics-world struggles in which he became embroiled. Then there are the odd quirks and the pricelessly prophetic anecdotes, as when one Zurich classmate of the budding genius went home to tell his parents that "this Einstein will one day be a great man." Many of these need to be included, and matters of scale make this job dauntingly difficult too. Einstein's earth-shaking concept of general relativity is directly juxtaposed, in Walter Isaacson's confidently authoritative "Einstein: His Life and Universe," with a set of household rules that the great man wrote to keep his first wife at bay. "You will stop talking to me if I request it," this document asserted. "You will not expect any intimacy from me, nor will you reproach me in any way." Mr. Isaacson deals clearly and comfortably with the scope of Einstein's life. If his highly readable and informative book has an Achilles' heel, it's in the area of science. Mr. Isaacson had the best available help (most notably the physicist Brian Greene's) in explicating the series of revelations Einstein brought forth in his wonder year, 1905, and the subsequent problems with quantum theory and uncertainty that would bedevil him. But these sections of the book are succinctly abbreviated. Paradoxically that makes them less accessible than they would have been through longer, more patient explication. Still, the cosmic physics would be heavy sledding in any book chiefly devoted to Einstein's life and times, and Mr. Isaacson acknowledges that. "O.K., it's not easy," he writes, "but that's why we're no Einstein and he was." In his introduction to "Einstein," Mr. Isaacson sounds dangerously as if he is again trumpeting the virtues of a founding father (his last book was a biography of Benjamin Franklin). "Tyranny repulsed him, and he saw tolerance not simply as a sweet virtue but as a necessary condition for a creative society," he proclaims. Whiffs of a textbook tone are similarly alarming. ("Einstein would become a supporter of world federalism, internationalism, pacificism, and democratic socialism, with a strong devotion to individual liberty and freedom of expression.") But over all this is a warm, insightful, affectionate portrait with a human and immensely charming Einstein at its core. "Oh my! 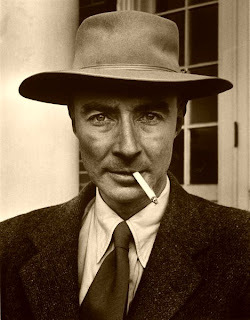 That Johnnie boy!/So crazy with desire/While thinking of his Dollie/His pillow catches fire." That was a poem written by the love-struck future patent clerk of Bern, Switzerland (he would spend seven years in that job while writing his greatest scientific papers) to Mileva Maric, the first of two women he would marry. (To dissolve this union, the ever-confident Einstein offered Maric the money from a Nobel Prize he had not yet won.) It reveals a different side of Einstein than his famous "On a Heuristic Point of View Concerning the Production and Transformation of Light" did. But in Mr. Isaacson's artfully seamless account, the genius and the flirt are remarkably well reconciled. And that first marriage was based on both. "I can already imagine the fun we will have," he wrote to Maric about a prospective vacation. "And then we'll start in on Helmholtz's electromagnetic theory of light." 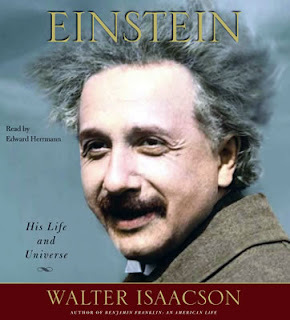 Mr. Isaacson does a similarly graceful job of integrating Einstein's science with his broader philosophical concerns, especially the global worries that plagued him with the approach of the Second World War. Even as a committed pacifist he remained primarily a scientist and revised his opinions as fate required. "For a scientist, altering your doctrines when the facts change is not a sign of weakness," Mr. Isaacson underscores. And the man who had once listed his religion as "Mosaic" when applying for a professorship in Prague became much more thoughtful about Judaism in later years. Whatever Einstein's precise faith, Mr. Isaacson says, "his beliefs seemed to arise from the sense of awe and transcendent order that he discovered through his scientific work." With the help of many witty, candid letters, Mr. Isaacson offers a wonderfully rounded portrait of the ever-surprising Einstein personality. Equally important is the Einstein myth, and the material on this subject is even more entertaining. Einstein horrified his colleagues by enjoying his vast celebrity. ("Einstein's personality, for no clear reasons, triggers outbursts of a kind of mass hysteria," the German consul reported to Berlin as the great man made one of his rock-star visits to New York.) He also stymied the press in its efforts to keep up with his accomplishments. Mr. Isaacson has great fun with the reportorial frenzy that surrounded each new pearl of Einsteinian wisdom. Among the headlines that appeared in The New York Times: "Unintelligible to Laymen" and "Stars Not Where They Seemed or Were Calculated to Be, but Nobody Need Worry." Mr. Isaacson is also keenly attuned to the intellectual crises hidden by the hoopla. As Einstein aged, he changed from a fierce young iconoclast to a pillar of science, resistant to advances in the very quantum ideas that he himself had brought forth. "The intellect gets crippled," he said of growing older, "but glittering renown is still draped around the calcified shell." Here as throughout the book Mr. Isaacson asks the right questions. (“So what made Einstein cede the revolutionary road to younger radicals and spin into a defensive crouch?”) And he answers them with the clear, broad grasp of complex issues that make this book an illuminating delight. Amazon.com: What kind of scientific education did you have to give yourself to be able to understand and explain Einstein's ideas? Isaacson: I've always loved science, and I had a group of great physicists--such as Brian Greene, Lawrence Krauss, and Murray Gell-Mann--who tutored me, helped me learn the physics, and checked various versions of my book. I also learned the tensor calculus underlying general relativity, but tried to avoid spending too much time on it in the book. I wanted to capture the imaginative beauty of Einstein's scientific leaps, but I hope folks who want to delve more deeply into the science will read Einstein books by such scientists as Abraham Pais, Jeremy Bernstein, Brian Greene, and others. Amazon.com: That Einstein was a clerk in the Swiss Patent Office when he revolutionized our understanding of the physical world has often been treated as ironic or even absurd. But you argue that in many ways his time there fostered his discoveries. Could you explain? Isaacson: I think he was lucky to be at the patent office rather than serving as an acolyte in the academy trying to please senior professors and teach the conventional wisdom. As a patent examiner, he got to visualize the physical realities underlying scientific concepts. He had a boss who told him to question every premise and assumption. And as Peter Galison shows in Einstein's Clocks, Poincare's Maps, many of the patent applications involved synchronizing clocks using signals that traveled at the speed of light. So with his office-mate Michele Besso as a sounding board, he was primed to make the leap to special relativity. Amazon.com: That time in the patent office makes him sound far more like a practical scientist and tinkerer than the usual image of the wild-haired professor, and more like your previous biographical subject, the multitalented but eminently earthly Benjamin Franklin. Did you see connections between them? Isaacson: I like writing about creativity, and that's what Franklin and Einstein shared. They also had great curiosity and imagination. But Franklin was a more practical man who was not very theoretical, and Einstein was the opposite in that regard. Amazon.com: Of the many legends that have accumulated around Einstein, what did you find to be least true? Most true? Isaacson: The least true legend is that he failed math as a schoolboy. He was actually great in math, because he could visualize equations. He knew they were nature's brushstrokes for painting her wonders. For example, he could look at Maxwell's equations and marvel at what it would be like to ride alongside a light wave, and he could look at Max Planck's equations about radiation and realize that Planck's constant meant that light was a particle as well as a wave. The most true legend is how rebellious and defiant of authority he was. You see it in his politics, his personal life, and his science. Amazon.com: At Time and CNN and the Aspen Institute, you've worked with many of the leading thinkers and leaders of the day. Now that you've had the chance to get to know Einstein so well, did he remind you of anyone from our day who shares at least some of his remarkable qualities? Isaacson: There are many creative scientists, most notably Stephen Hawking, who wrote the essay on Einstein as "Person of the Century" when I was editor of Time. In the world of technology, Steve Jobs has the same creative imagination and ability to think differently that distinguished Einstein, and Bill Gates has the same intellectual intensity. I wish I knew politicians who had the creativity and human instincts of Einstein, or for that matter the wise feel for our common values of Benjamin Franklin. Thanks to POSP stringer Tim for the notice. Oh my, the following looks like a scene from Numb3rs...Charlie is standing in front of a transparent chalkboard loaded with impressive mathematical symbols and algorithms falling out of his pockets. "Artificial Intelligence Cracks 4,000-Year-Old Mystery"
Computational analysis of symbols used 4,000 years ago by a long-lost Indus Valley civilization suggests they represent a spoken language. Some frustrated linguists thought the symbols were merely pretty pictures. "The underlying grammatical structure seems similar to what's found in many languages," said University of Washington computer scientist Rajesh Rao. The Indus script, used between 2,600 and 1,900 B.C. in what is now eastern Pakistan and northwest India, belonged to a civilization as sophisticated as its Mesopotamian and Egyptian contemporaries. However, it left fewer linguistic remains. Archaeologists have uncovered about 1,500 unique inscriptions from fragments of pottery, tablets and seals. The longest inscription is just 27 signs long. In 1877, British archaeologist Alexander Cunningham hypothesized that the Indus script was a forerunner of modern-day Brahmic scripts, used from Central to Southeast Asia. Other researchers disagreed. Fueled by scores of competing and ultimately unsuccessful attempts to decipher the script, that contentious state of affairs has persisted to the present. Among the languages linked to the mysterious script are Chinese Lolo, Sumerian, Egyptian, Dravidian, Indo-Aryan, Old Slavic, even Easter Island — and, finally, no language at all. In 2004, linguist Steve Farmer published a paper asserting that the Indus script was nothing more than political and religious symbols. It was a controversial notion, but not an unpopular one. Rao, a machine learning specialist who read about the Indus script in high school and decided to apply his expertise to the script while on sabbatical in Inda, may have solved the language-versus-symbol question, if not the script itself. "One of the main questions in machine learning is how to generalize rules from a limited amount of data," said Rao. "Even though we can't read it, we can look at the patterns and get the underlying grammatical structure." Rao's team used pattern-analyzing software running what's known as a Markov model, a computational tool used to map system dynamics. They fed the program sequences of four spoken languages: ancient Sumerian, Sanskrit and Old Tamil, as well as modern English. Then they gave it samples of four non-spoken communication systems: human DNA, Fortran, bacterial protein sequences and an artificial language. The program calculated the level of order present in each language. Non-spoken languages were either highly ordered, with symbols and structures following each other in unvarying ways, or utterly chaotic. Spoken languages fell in the middle. When they seeded the program with fragments of Indus script, it returned with grammatical rules based on patterns of symbol arrangement. These proved to be moderately ordered, just like spoken languages. As for the meaning of the script, the program remained silent. "It's a useful paper," said University of Helsinki archaeologist Asko Parpola, an authority on Indus scripts, "but it doesn't really further our understanding of the script." Parpola said the primary obstacle confronting decipherers of fragmentary Indus scripts — the difficulty of testing their hypotheses — remains unchanged. But according to Rao, this early analysis provides a foundation for a more comprehensive understanding of Indus script grammar, and ultimately its meaning. "The next step is to create a grammar from the data that we have," he said. "Then we can ask, is this grammar similar to those of the Sanskrit or Indo-European or Dravidian languages? This will give us a language to compare it to." 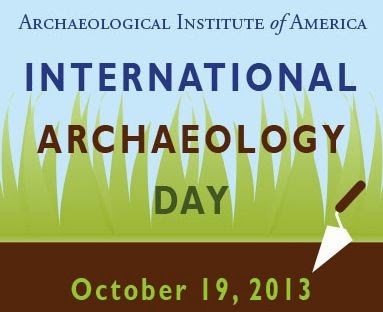 "It's only recently that archaeologists have started to apply computational approaches in a rigid manner," said Rao. "The time is ripe." 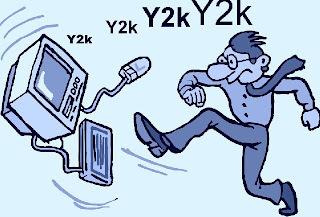 Does personal anxiety rule when the media hypes potentially troublesome events: Y2K, pandemic viruses, excessive radiation from the sun, "conficker"? [The original source for this is unknown and scattered about the Internet]. "Meltdown! A solar superstorm could send us back into the dark ages - and one is due in just THREE years"
Pillars of incandescent green writhe like gigantic serpents across the skies. Sheets of orange race across the horizon during the most spectacular display of the aurora borealis seen in southern England for 153 years. And then, 90 seconds later, the lights start to go out. Not the lights in the sky - they will dazzle until dawn - but the lights on the ground. By midnight, every mobile network is down and the internet is dying. Television - terrestrial and satellite - blinks off the air. By noon the following day, it is clear something terrible has happened and the civilised world has plunged into chaos. By the end of 2013, 100,000 Europeans have died of starvation. The dead go unburied, the sick untreated. It will take two decades or more for the first green shoots of recovery to appear - recovery from the first solar superstorm in modern history. This catastrophe is not some academic one-in-a-million chance scenario. It is a very real threat which, according to a report in the latest issue of New Scientist, remains one of the most potent, yet least recognised, threats to the future of human civilisation. Moreover, it is something that has happened before - not that long ago - and indeed has the potential to arrive every 11 years. Solar storms do not normally cause much concern. Swarms of electrically charged subatomic particles from the Sun periodically buffet the Earth and its surroundings, causing health worries for astronauts and the owners of satellites, whose delicate electronics can be fried. But down on the surface, cocooned under an ocean of air, we rarely notice more than the pretty lights in the sky, created as the electrically charged particles from the Sun sweep into the Earth’s own magnetic field to generate the Northern and Southern Lights. But every now and then, the Sun is convulsed by a gigantic tempest: 50,000-mile-wide eddies of boiling hydrogen plasma on its surface ejecting a billion-tonne, malevolent blob of crackling-charged gas into space at a million miles an hour. And, very occasionally, one of these mighty coronal mass ejections, as they are called, smacks into the Earth head-on. This last happened on the morning of September 1, 1859. That day, one of Britain’s top astronomers, Richard Carrington, was observing the Sun. Using a filter, he was able to study the solar surface through his telescope, and he saw something unusual. A bright flash of light erupted from the Sun’s surface and detached itself from it. Unbeknown to Carrington, that bright spot was a cloud of charged plasma on its way to Earth. Just 48 hours later it struck, and the effects were extraordinary. Brilliant aurorae lit the Earth’s night skies right down to the Tropics - their light being so brilliant it was possible to read a newspaper at midnight. In California, a group of gold miners were roused from their bed hours early, thinking the dawn and a new day’s prospecting had come. It was 2am. Telegraph operators received severe electric shocks as solar-induced currents surged through the networks. It was as though the Earth had been immersed in a bath of electricity. Such damage as there was, was easy to repair. In 1859, the world ran mostly on steam and muscle. Human civilisation did not depend on a gargantuan super-network of electric power and communications. But it does now. Electric power is modern society’s ‘cornerstone technology’, the technology on which virtually all other infrastructures and services depend. Daniel Baker, a space weather expert at the University of Colorado, prepared a report for the U.S. National Academy of Sciences last month, and the conclusions make grim reading. ‘Every year, our human technology becomes more vulnerable,’ he says. A repeat of the 1859 Carrington event today would have far graver consequences than the frying of some telegraph wires. The problem comes with our dependence on electricity and the way this electricity is generated and transmitted. A huge solar storm would cause massive power surges, amounting to billions of unwanted watts surging through the grids. Most critically, the transformers which convert the multi-thousand-volt current carried by the pylons into 240v domestic current would melt - thousands of them, in every country. This would bring the world to its knees. With no electricity, we would not just be in the dark. We are dependent, to a degree few of us perhaps appreciate, on a functioning grid for our survival. All our water and sewage plants run on electricity. A couple of days after a solar superstorm, the taps would run dry. Within a week, we would lose all heat and light as reserves ran out, the supermarket shelves would run empty and the complex supply and distribution networks upon which our society depends would have started to break down. No telephones, no medicines, no manufacturing, no farming - and no food. Global communications and travel would also collapse - a solar superstorm would probably destroy the network of GPS satellites upon which every airline depends. Of course, the power grid can be rebuilt, new transformers and cables made, new satellites launched - but organising this in a world teetering on the brink of collapse would not be easy. Humanity would recover, but it would take decades. A seemingly innocuous event, one which apparently poses no direct threat to human health at all, would have an effect on our world comparable to that of a small nuclear war. So could this really happen? And why is 2012 a year to worry about? Well, we know that solar superstorm did happen, back in 1859. And we know that 20 years ago a much smaller storm knocked out the power grid across much of eastern Canada, leaving nine million people without electricity. We also know that the Sun’s activity waxes and wanes in 11-year cycles. Currently, the Sun is very quiet. But a solar maximum - a peak of activity - is predicted for 2012, and this is when a superstorm could strike, probably around either the spring or autumn equinox, when the orientation of the Earth’s magnetic field to the Sun makes us very vulnerable. The main point is that every solar maximum puts us more in danger as our growing population becomes ever more dependent on electricity. Ironically, the least-affected parts of the world would probably be the poorest areas. Those Third World nations that usually suffer most from natural disasters, on account of their poor infrastructure, would adjust most quickly to life without electricity, while richer nations would be paralysed. So can anything be done to prevent an epic disaster? A more robust electricity grid would be a start. And we need new satellites to give warning of what is happening on the Sun. Of course, it may not happen in 2012 - it may not happen in 2023, the year of the next solar maximum. But sooner or later, a re-run of the Carrington event is inevitable. Perhaps it would be wise to start stocking up on some candles.